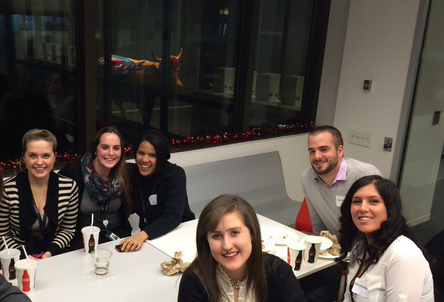 DePaul University journalism alumni and SPJ/ONA DePaul members celebrated the holidays and the organizations expansion as an Online News Association group on Dec. 11 at the ONA Chicago holiday meet-up at the Chicago Sun-Times. 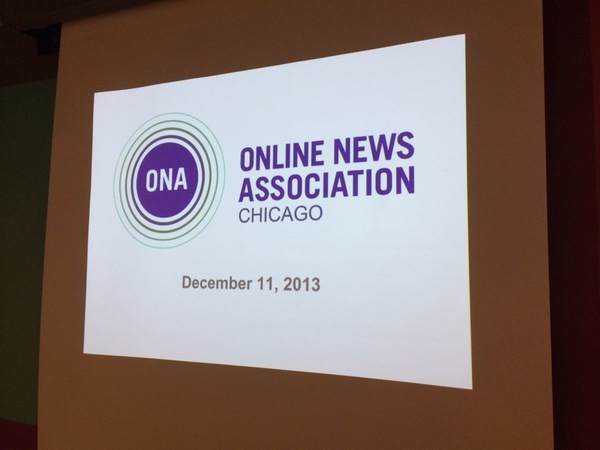 Attendees networked, dined on Lou Malnati’s pizza and heard great presentations from ONA Chicago’s Sherry Salko and Rivet Radio’s Charlie Meyerson. 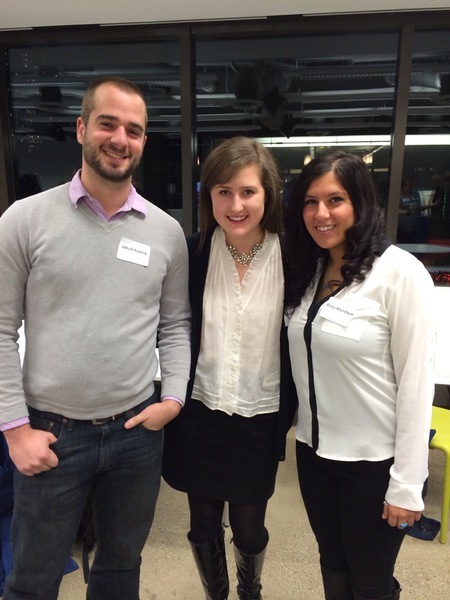 SPJ/ONA DePaul e-board members Jakub Rudnik, Melanie Stone and Rima Mandwee. SPJ/ONA DePaul President Brianna Kelly helped organize the DePaul contingent, which included the group’s executive board members as well as several alumni now working at the Sun-Times/Aggrego community news group. SPJ/ONA Adviser Mike Reilley did a short presentation introducing the group and its involvement in ONA and SPJ, including some of its upcoming events and tech workshops. Thanks go out to Sherry Salko, ONA Chicago, Craig Newman of the Chicago Sun-Times and everyone else working on the event. See you all in 2014! The SPJ/ONA DePaul crew wraps up a good party.